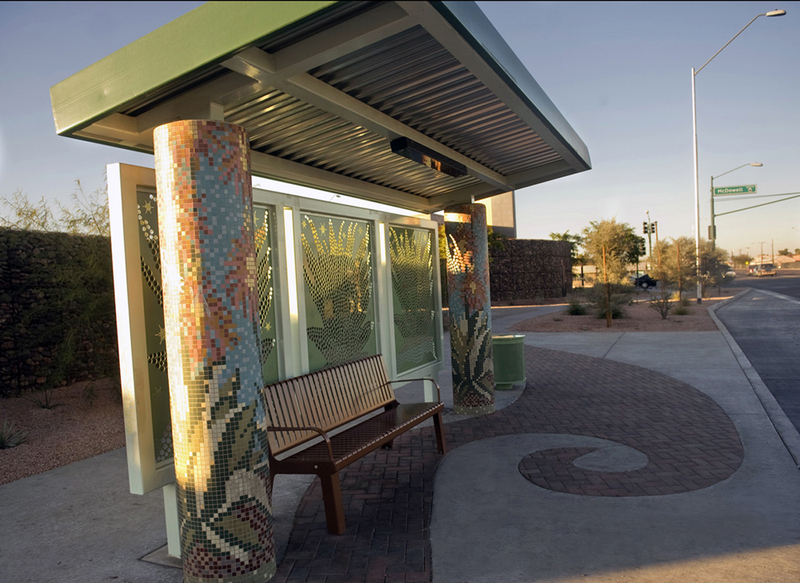 For the Isaac Streetscape and Bus Shelter project, I designed bus shelters that were installed at the four corners of 35th Avenue and McDowell in Phoenix, Arizona. The project also included and a streetscape enhancement that extended along McDowell across from the Isaac Middle School and connects to a new pedestrian bridge. 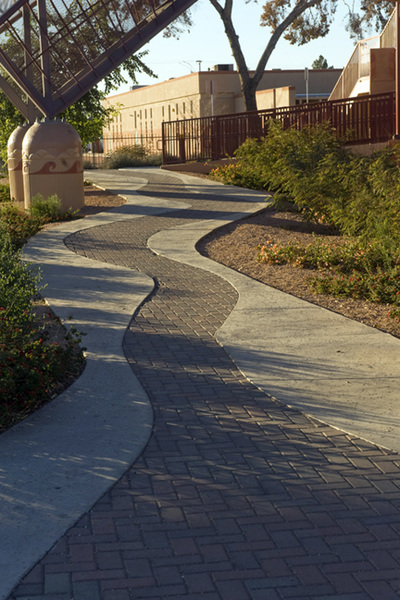 For the streetscape, I designed a pattern with special pavers, along a new sidewalk that was inspired by the image of a river I saw as I was landing in Phoenix. 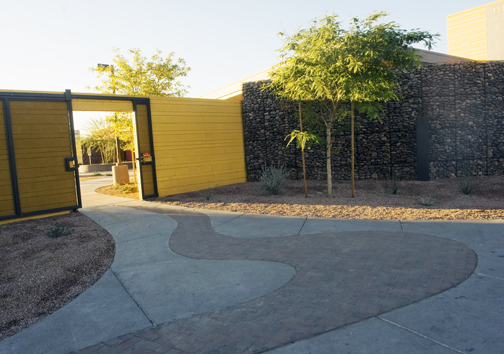 The river sidewalk design is also installed the the Neighborhood Learning Center across the street. 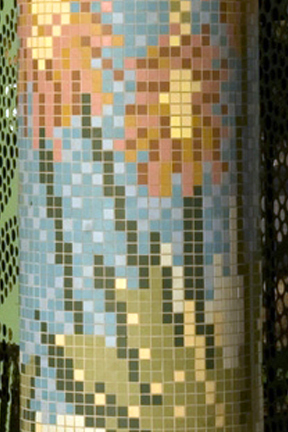 The river image talks about the importance of water in this area. 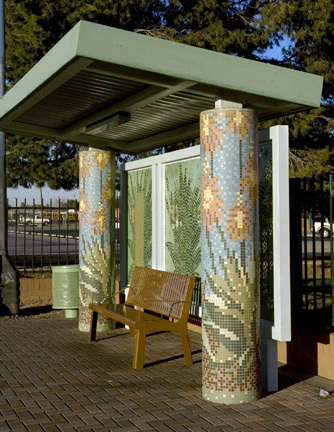 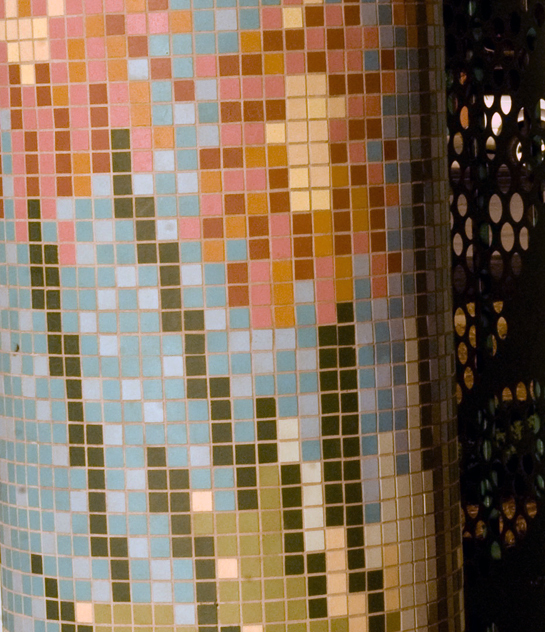 The bus shelters have ceramic mosaic tile featuring local plants and flowers. 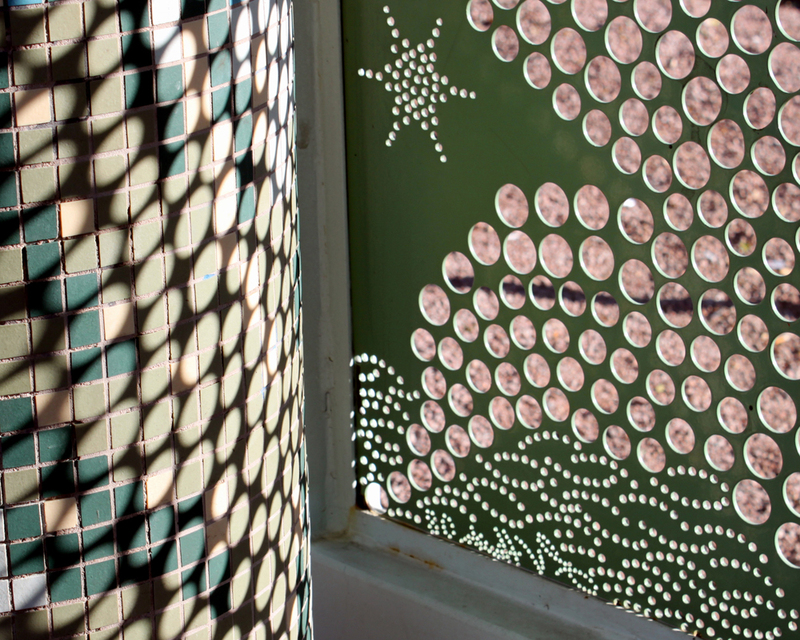 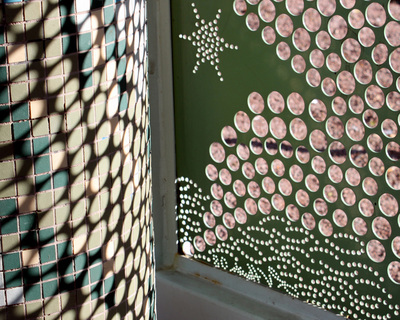 The shade screens are perforated with images of agave plants and stars from the night sky. 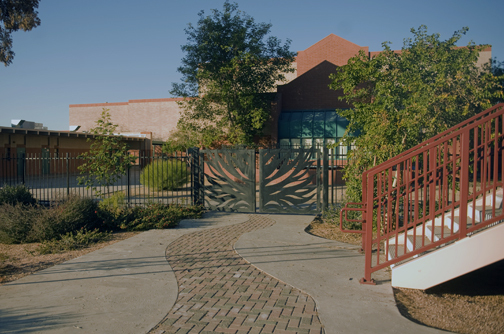 At the entrance to Isaac Middle school, a steel gate echoes the theme of desert plants to welcome the students along with the river image on the walkway into the school. This was my first project with the Phoenix Office of Arts and Culture Public Art Program.